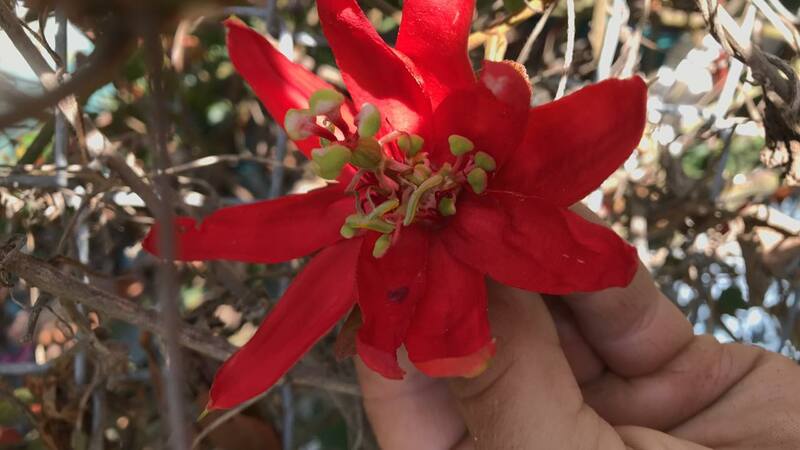 Just like animals, plants sometimes get it wrong. 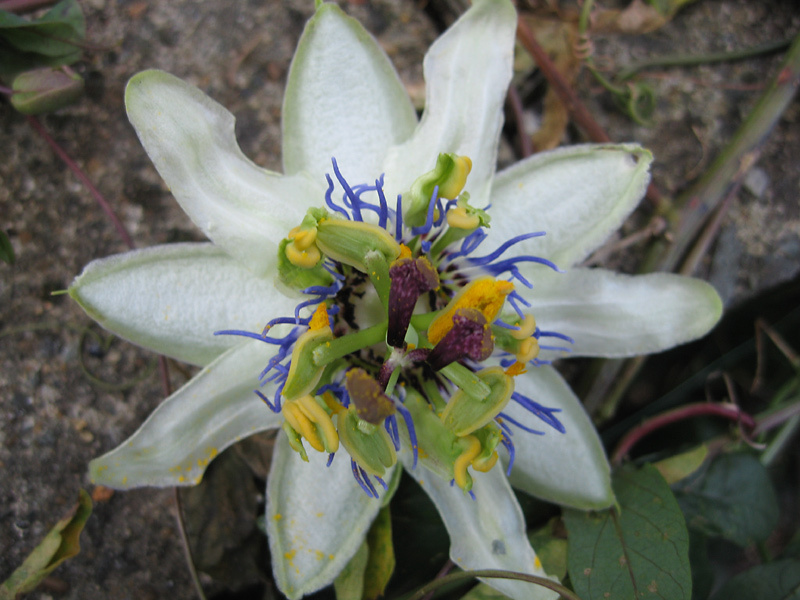 Passiflora as well as having the ability to produce more variable leaves on one plant than I believe any other genus, will also occasionally produce freakish flowers on otherwise normally flowering plants. 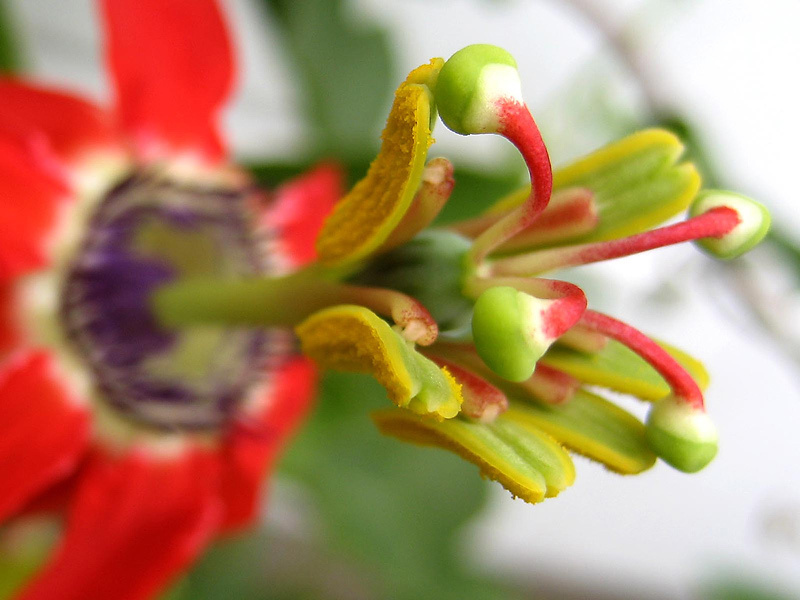 Max Withers’ picture of Passiflora manicata, Daniel Stawiecki’s Passiflora ‘Scarlet Flame’ pic and my pictures of the Passiflora caerulea flower show what can happen. 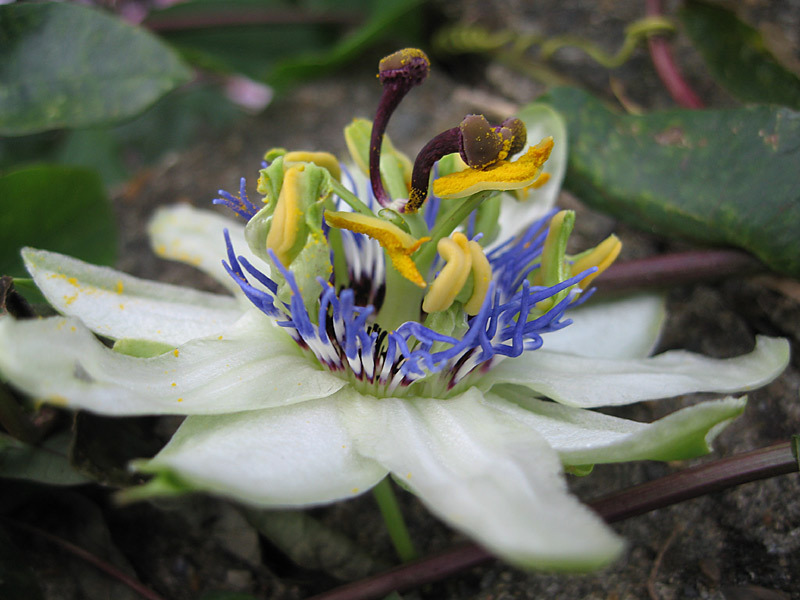 It is quite impossible to count the numbers of anthers on the P. caerulea. 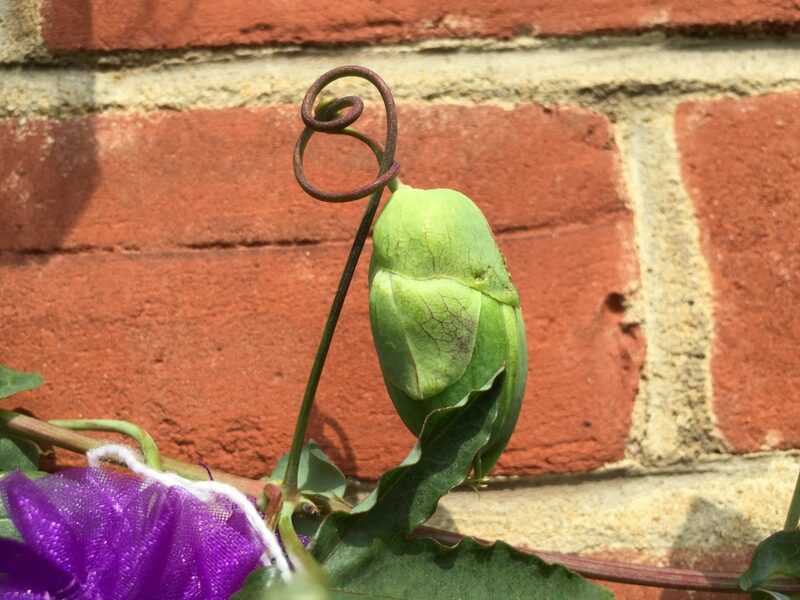 Also I have included a picture of a flower bud on a tendril, a quite common reversion to amore primitive method of flowering.